How NOT to perform lip make-up? Lipstick, lip gloss, or perhaps colourful chapstick? What is your favourite cosmetic for lip make-up? No matter, which one you choose, you should start with becoming acquainted with the rules concerning lip make-up. Try them all and your make-up will delight everyone. This season is all about matte lips or minimal shine. If you want to avoid tacky look, apply tinting lip gloss or colourless lip gloss in the middle of the lips. You can always use lip balm or petroleum jelly. Great solution are pencil lip gloss or in a stick. These perfectly underline lips’ shape, emphasise and optically make lips bigger. Avoid application of few layers of shimmering products. Not only your make-up will look far from pretty, but also your lips will be sticky. Lip liner is a great solution for those girls who have narrow and small lips. This cosmetic optically makes lips bigger and fuller. However, there is certain rule concerning this product’s application. Lip liner’s shade needs to match lipstick’s shade. Draw the line very gently, so that you can rub it and blend it with the lipstick. Probably when you walk down the street, you often see girls who by mistake applied some lipstick on to their teeth. This sort of make-up slip up shouldn’t have took place. To avoid such faux pas take a mirror and check whether your teeth are clean. 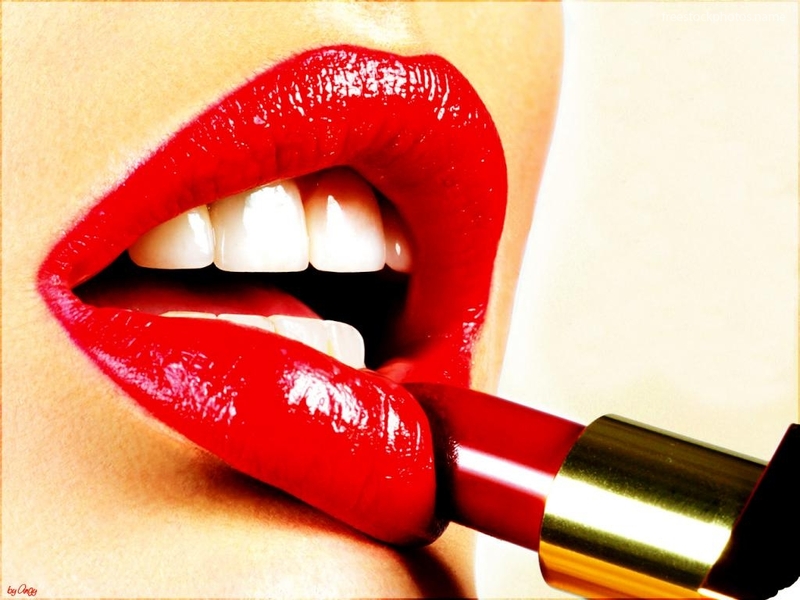 When applying lipstick run it gently on the lips surface and watch your moves carefully. Never apply lipstick on chapped lips. Colourful lipstick on cracked and chapped lips will look unaesthetic. Before you perform your make-up, take care of the lips’ skin. Execute sugar and honey peeling to smoother skin and make lips firm, but also to remove dead skin cells. Then apply moisturising cream or petroleum jelly. If you want your lipstick to last longer, use make-up base. Remember that you shouldn’t apply lipstick on skin around your lips. Tint only the lips and the cosmetic that got out of its outline wipe off immediately. If you are yet not experienced in using lipstick, try lip brush. Take small amount of lipstick and apply it on the lips. Next » Powder Lipstick – Lip Powder by RiRe « Previous Mascara and eyeliner in one!! !